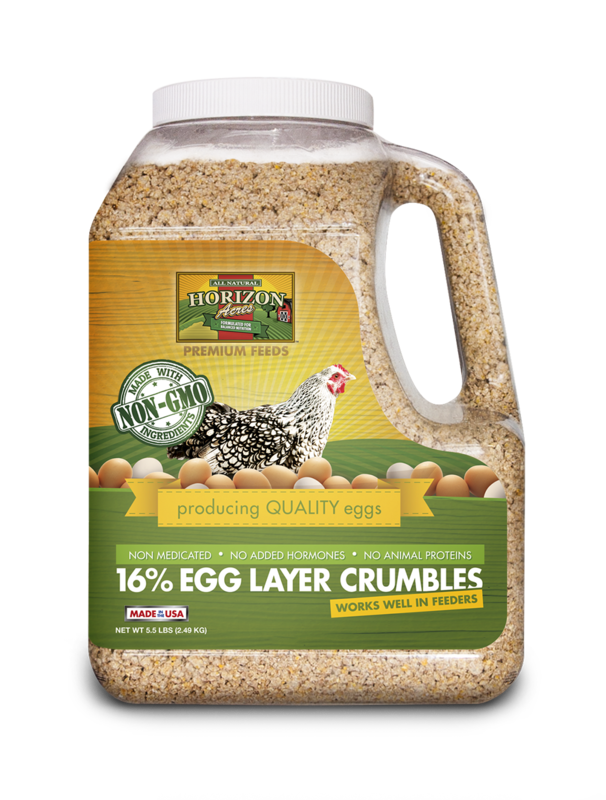 We now offer our 16% Egg Layer formula in crumbles or pellets in a Non-GMO formula. It is free of genetically modified ingredients, hormones and medication. It is a complete feed with 16% protein, fortified with calcium for stronger egg shells and Diamond V yeast culture, a natural probiotic, to aid in digestion. This natural, vitamin and mineral rich blend is designed for adult laying hens to provide them with the balanced nutrition they need to naturally produce wholesome, delicious eggs for you and your family. 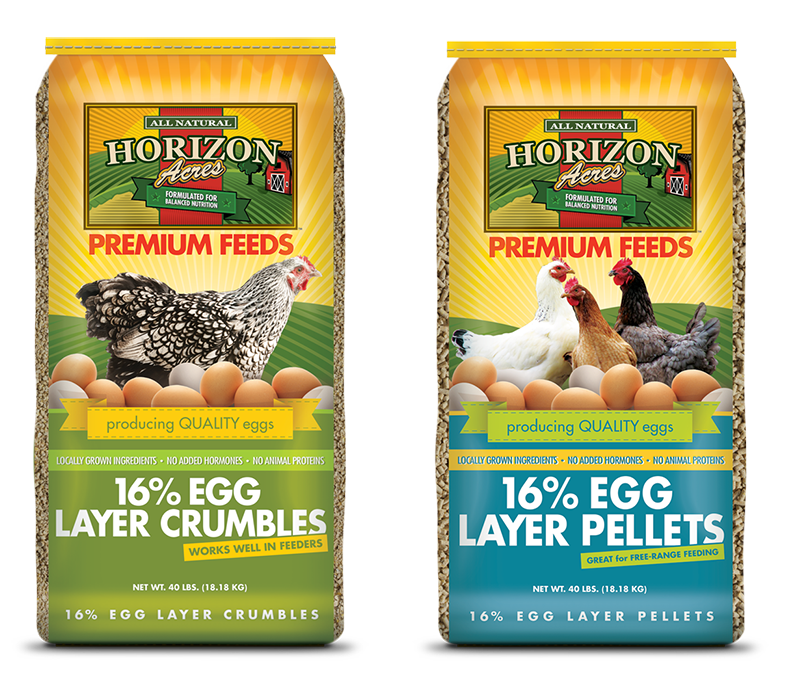 We offer our 16% Egg Layer formula in crumbles or pellets for chickens 15 weeks and older. It is a non-medicated, complete feed with 16% protein so there is no need to supplement. Egg Layer Crumbles and Pellets are fortified with calcium for stronger egg shells and contain natural probiotics to support immunity and gut health. Offer free choice to chickens for maximum egg production and bird health. This vitamin and mineral rich blend is made from ingredients grown by Midwest farmers. It is perfect for adult laying hens that produce wholesome, delicious eggs for you and your family.